Dr. Samrat graduated from the Peoples’ Friendship University of Russia in Moscow and earned his post-graduate degree in General Practice and Emergency Medicine from Tribhuvan University Teaching Hospital in Kathmandu, Nepal. Who Knew? The national flag of Nepal (Nepali: नेपालको झण्डा) is the world’s only non-quadrilateral national flag. The flag is a simplified combination of two single pennons, known as a double pennon. Its crimson red is the color of the rhododendron, Nepal’s national flower, while the blue border is the color of peace. Dr. Manoj Thomas visited Timmy Global Healths partner Asociacion Pop Wuj Clinic in Xela, Guatemala this past March. Asociacion Pop Wuj is a collectively owned, non-profit, Spanish language school that promotes community development through a variety of programs including a daycare center, construction of safe stoves, reforestation and ecological education, a student scholarship program, and a comprehensive health and nutrition program. Working with Dr. Carmen and Dr. Herman he set up a CMES-Pi at the Xela clinic. The regular access to up-to-date continuing medical education content for the staff is welcomed as travel to conferences is difficult and costly for the organization. We welcome Asociacion Pop Wuj and there impressive work in the community. The Pop Wuj team with Dr. Manoj Thomas (on right). The Pop Wuj team tries out the CMES-Pi connectivity. 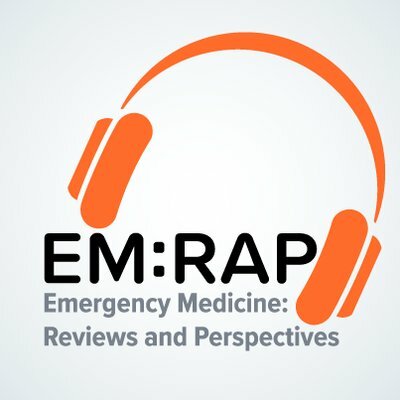 Jessica Mason MD and Wendy Chan MD discuss the history and present methods of triage in the May EM:RAP podcast of Annals of Emergency Medicine: Emergency Severity Index. How do you risk stratify in your emergency department? Do you use a three-step system of emergent, urgent or non-urgent? Or the five-step triage protocol with ESI 1 indicating a critical patient to an ESI 5 indicating nothing serious? Neither provide an ideal system, but what about front-end physician triage, split flow and vertical flow? Update your triage knowledge by listening to the podcast…it might make your day flow smoother. Who Knew? Baron Dominique Jean Larrey is credited with inventing triage during the Napoleonic Wars but did you know he invented the first ambulance? The horse-drawn “flying ambulances” could maneuver quickly across a battlefield delivering injured men to field hospitals. Gastric Lavage: Yes or No? According to an EMRAP article, orogastric lavage was considered a standard procedure. It has never been proven to be of benefit. There are no recent studies. Although it was thought that removing the gastric contents might decrease the severity of the overdose, this is probably not the case. Why? Listen to the podcast or read the bullet points of the May 2018 article called “Pumping the Stomach” No More, by Anand Swaminathan MD and Sean Nordt MD, PharmD. Do you still lavage for poison overdose? What substances? Leave a comment and share your knowledge. My experience with leeches is limited to a profound fear while hiking during the Nepal monsoon season where the rainforest leeches drop from the vegetation and make you their personal smorgasbord. Have you ever used a leech medically to reduce swelling and vascular congestion? How do you remove leeches? How do you treat the wounds? Leave a comment and share your skills with us leech-less colleagues. Who Knew? Leeches have 32 Brains. Their internal structure is divided into 32 segments. Each of these 32 segments has its own segment of the brain. Every leech also has two reproductive organs and 9 pairs of testes. Blunt neck trauma can be an airway nightmare. Listen to the podcast or catch the bullet points about workup and treatment from the May 2018 EMRAP article by Mel Herbert MD and Billy Mallon MD called Blunt Neck Trauma. Who Knew? A giraffe’s neck is too short to reach the ground. It spreads its front legs or kneels to reach the ground for a drink of water. Dr. Lisa Charles, ED Director at Victoria Hospital, St. Lucia. Dr. Lisa Charles at Victoria Hospital in St. Lucia runs a tight ship on this Caribbean island. Emergency Medicine trained, she embraces continuing medical education (cme) as a means to keep her staff up-to-date. The staff at Victoria Hospital received thumb drives this past February and are putting them to good use. Several years ago she wrote a procedures manual for her ED staff at Victoria Hospital and is using the CMES articles to update her information. Living on a small Caribbean island poses challenges for travel and access to cme credits which are mandatory for physicians in St. Lucia. She is permitted by the St. Lucian Medical Council to authorize articles as cme credits for her staff. She is also using CMES to provide some of the mandatory cme credit for her staff. Who Knew? Together with Caribbean music genres such as Calypso, Soca, Dancehall, Reggae, Compas, Zouk, and Salsa, Saint Lucia has a strong country music tradition. In the 1950s the only radio stations heard in St. Lucia was from Texas, USA, where country music was popular. Even today you can hear George Jones, Patsy Cline and Johnny Cash’s voices drifting out of neighborhood bars. Who and what is EM:RAP? Emergency Medicine: Reviews and Perspectives (EM:RAP) is our sponsor and source of the continuing medical education (cme) materials brought to you by the Techies Without Borders (TWB) program called Continuing Medical Education on Stick (CMES) and CMES-Pi. Listen to a free podcast by Mel Herbert MD MBBS FAAEM as he discusses the future of EMRAP here. As a participant in CMES or CMES-Pi we wanted you to appreciate this is a company that goes beyond the mission of excellent cme. It makes a commitment to helping you be the best you can and embracing colleagues worldwide. We at TWB gratefully acknowledge EM:RAPs forward vision and passion.